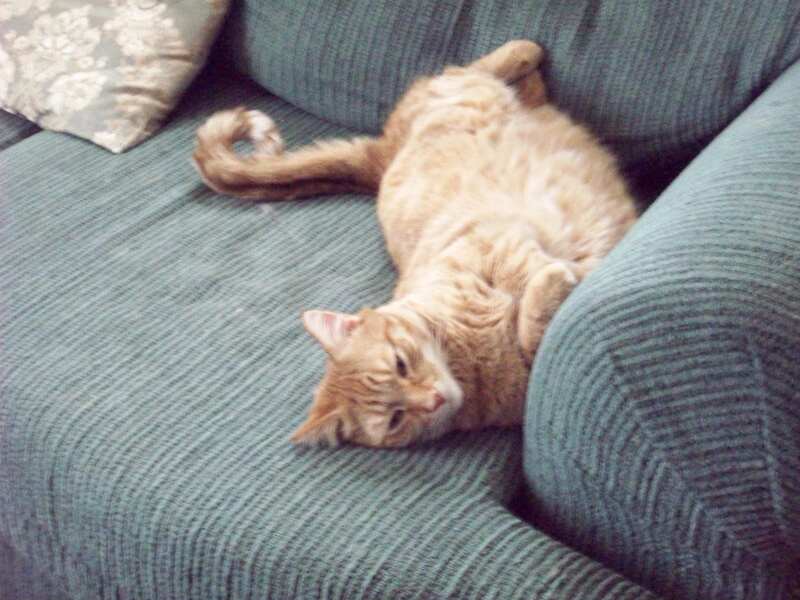 Sunny came to us 10 years ago as a direct answer to the most specific request we’d ever made to the Universe: we asked for a golden boy cat who would love us all. 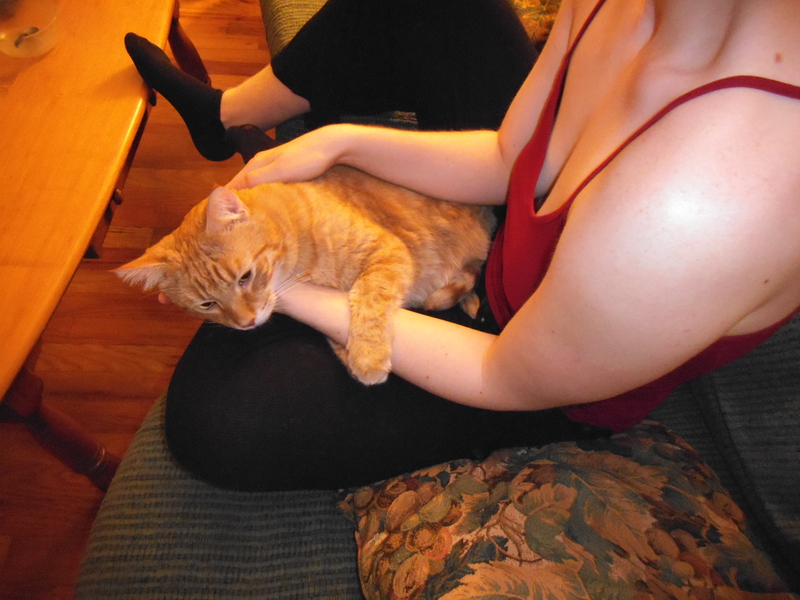 And two weeks later, he showed up, literally, on our doorstep, an abandoned, sick little kitten who was tenderly nursed back to health by my daughter, Angela. 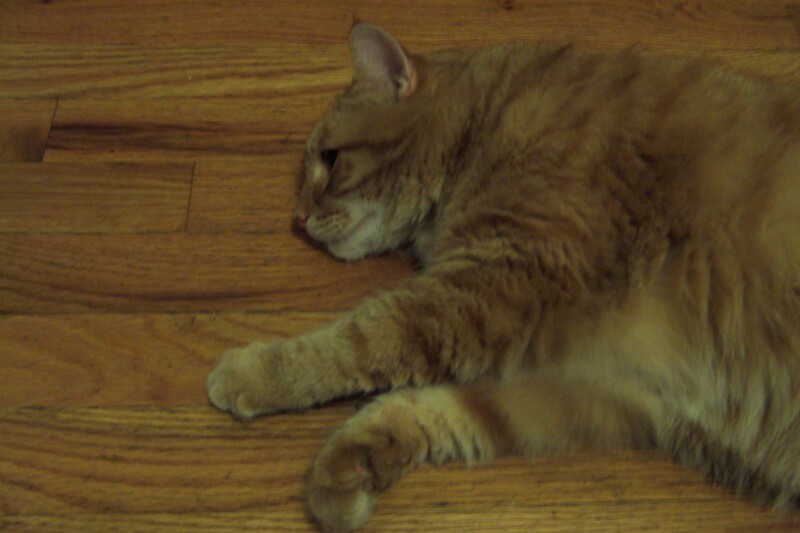 This forged a deep and extraordinary bond between them—though, just as we had asked, Sunny unreservedly loved us all. For Angela, Sunny became her constant, truest friend for over a decade—a painful and turbulent decade for her in many ways. But through it all, Sunny was just Always There—by her side, on her lap, draped over her shoulder, stretched next to her in bed, brushing against her legs, sitting on her feet, wrapping his tail around her knees, patting her face with his paw. Even just gazing earnestly at her, as he had been doing a lot more in recent times, he absolutely radiated Love—it was visible and palpable. 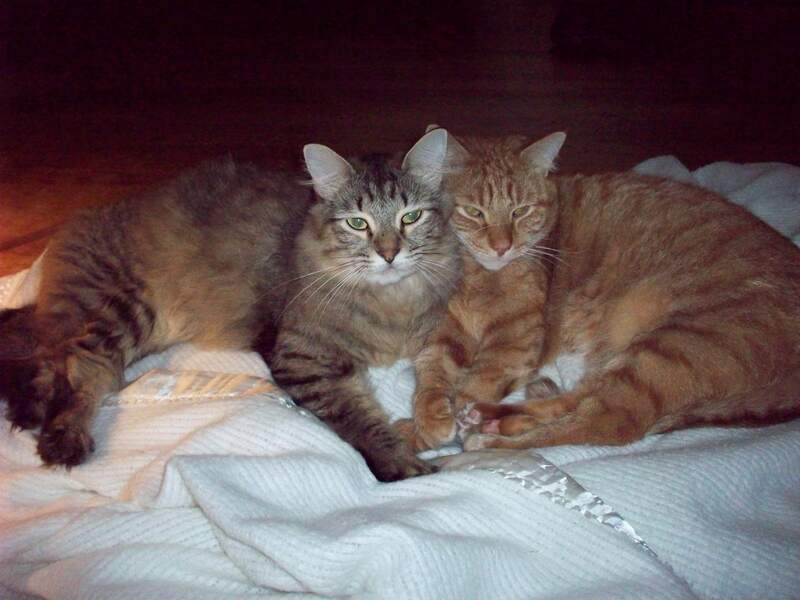 He was pure Divine Love incarnate for her–and for us all, including our other cats. and most especially, settling into Angela’s lap JUST as she was about to get up to go do something that he obviously considered completely unnecessary and irrelevant. “What’s your rush?” he seemed to ask. “Let’s just BE together for awhile….” And she would inevitably melt and just BE with him for awhile, lounging, actively cuddling, or sometimes playfighting, as the energy level dictated. And all those “awhiles” blended into a decade-long string of golden Sunny moments that we thought would never end…. That afternoon, he failed to make an appearance when treats were distributed–an utterly unprecedented event for our resident gourmet. Huddled on Angela’s bed, he was listless and seemed feverish. And so we rushed off with him into the Twilight Zone of all-night vets and hospitals and tests that kept coming out negative for days. 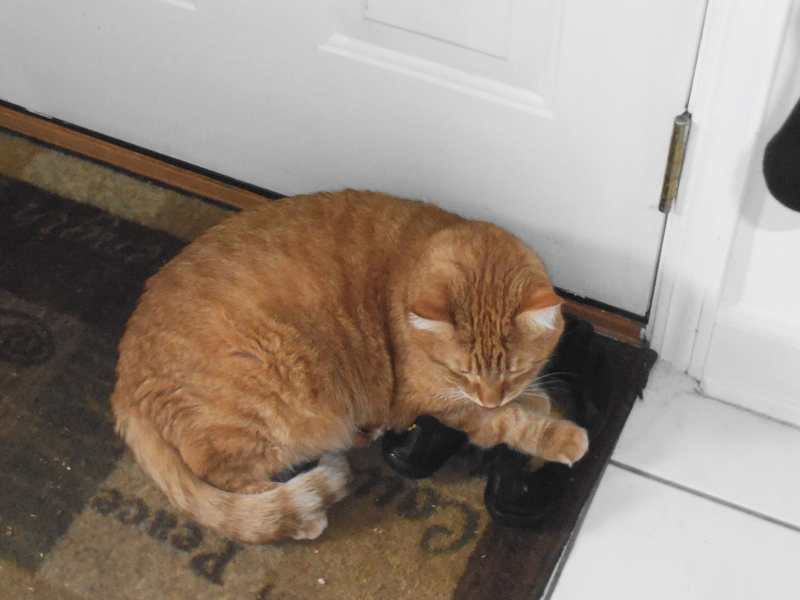 There was a brief respite early on, when the fever abated and we had him home for one more “normal” night and got our final photo of him Zen-lounging on Angela’s shoes–a last golden moment at home. But that same day he stopped eating and drinking again and we re-entered the Twilight Zone at 4 am, at a different vet hospital. 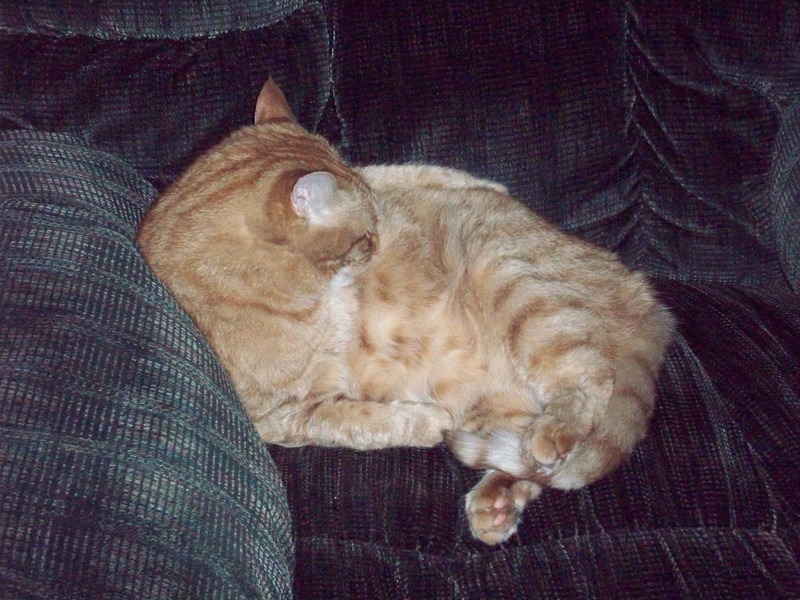 There he was finally diagnosed–pancreatitis, they said. We see it all the time, they said. The prognosis is usually very good, they said. But not this time. Complications kept arising, and information seemed always to be too little, too late. After days of downward spiral, the vet offered only two options: a risky and painful surgery, or euthanasia. And so we went to him for what would be our final golden Sunny moments. One more earnest GAZE that said, “ALL I WANT NOW IS TO GO PEACEFULLY, WITH YOU AND LOVING YOU TO THE END.” Our acceptance of that message. 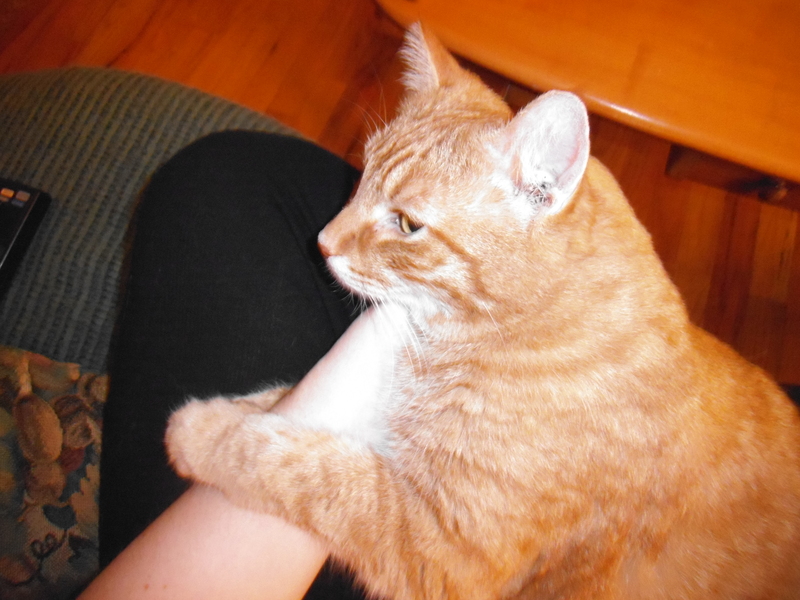 The final snuggles, strokes, loving words of gratitude for the gift he had been to us for ten amazing, wonderful years. We felt, even in our pain, a sort of supreme spiritual clarity that allowed time to stretch so that we could express and receive all the love that was meant for us in those last brief moments. There was, somehow, a deep sense of completion and satisfaction within us all. When the vet came in to administer the final injection, Sunny slowly, deliberately turned in Angela’s lap so his face was cuddled up to her right side–that way his back was to the vet and the hospital tubes were not visible, so we could see him at the end as the Sunny we remembered. He laid his head on Angela’s hand, and relaxed into sleep and into his passing. It was indeed peaceful and just what he wanted–our hands holding him, our love surrounding him, to the very end. I sensed the silver cord connecting soul to body dissolve, and as his soul soared upward I could swear I heard singing and saw him somehow SHIFT into a form still golden, but more angel than feline. His pain was over; ours was intensified. Letting go of all that Sunny had been to us–a unique and fascinating friend, a beloved family member, and a true source of radiant, unconditional Love wrapped in velvety golden fur–it ripped our hearts open as we had never experienced before. Not even my divorce had hurt like this. It felt like what Emily Dickinson wrote, “There is a pain–so utter–it swallows substance up….” Both Angela and I were swallowed up, for a time. We are making our journey back, day by day, helped by family and friends. 1. Savor ALL the joys of embodiment–food :-) , physical touch, the outdoors, good long stretches, zesty activity, utter repose. Being physical is truly a magnificent and all-too-brief experience and is meant to be treasured, golden moment by golden moment. 2. Lounge more with those you love. There is no substitute for simply, fully, BEING with one whose love you share. Talk is optional, snuggling is not. 3. Pay attention to ALL inner prompts to express love. 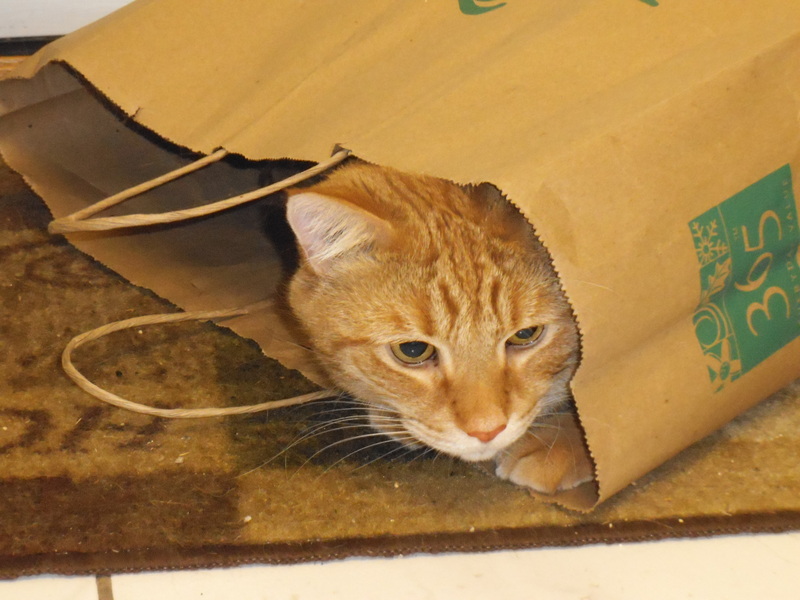 We are so thankful we listened to the still small voices that urged us, “Get his favorite food this week…play that paper bag game again…take a few more pictures…cuddle up just a bit longer…play now, work later…” Especially that last one. 4. Be fully present when it is time to let go. Feel everything, honor everything, including accepting the ache of missing a beloved embodied form, and allowing that ache to soften by opening to Love in other forms. The deepest joy and highest purpose of life on Earth is simply to create and experience more Love. Ultimately, Love is all that matters. And Love never truly leaves us; it only changes form. Though we will now find Love in different forms, it will still hold within it a hint of Sunny’s golden glow, shining through to warm our hearts now and always. And if, after reading this, you sense a certain golden glow around yourself, that would be Sunny’s heart and ours sending hugs and thanks to you for sharing this moment with us. And, of course, more Love.